Homepage Managed Web hosting what is Managed Web Hosting? With the search for a web hosting provider, customers often get baffled between the options and features offered by web hosting companies. 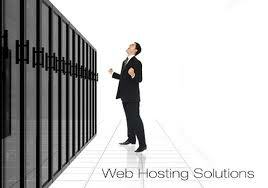 However, the most important feature that you should be aware of while choosing web hosting plan is managed web hosting. A managed hosting can be stated as the server operations, maintenance and troubleshooting being taken care by web hosting provider. The Managed Hosting term is specifically used for Dedicated Servers, however, this feature is offered by many web hosting providers on Shared and VPS Hosting plans too. What are the Managed Hosting Features? Server Monitoring: To maintain server uptime in order to keep your website online for the maximal time, it is very important that the server is monitored round the clock. The server engineers employed by web hosting staff manage this task and monitors server constantly to prohibit suspicious activities on the server, to avoid sudden spikes in CPU usage or protect server from DDos attacks. Troubleshooting: This service includes technical support and assistance by the web hosting provider through a live chat system, ticket system or even telephone. If you need assistance for uploading files on server, walkthrough for performing a task from control panel, a server side error on website, setting up email accounts and configuring emails.etc, you can contact the support team. OS & Software Installation: The hosting provider’s technicians install Operating System and Software required on the server. Normally, OS & Software are pre-installed on the server before server login credentials are provided to customer. However, if you need a 3rd party software or application installed on the server, the support team can take care of it for you on request. Hardware Upgrade & Replacement: Server Hardware needs to be replaced after a long period of online status so this is taken care in managed hosting. Also if there is any issue with Server Hardware, web host providers will replace the server hardware. Security Audits: Server audit is very important to protect the server for malicious injections, hacking attempts and DDos attacks. The server engineers audit the data uploaded on the server and the software and application versions to keep it updated. If the software or application’s old version usage is continued, it makes server vulnerable. Server Maintenance: Server maintenance includes OS optimization, Database optimization, FSCK’s to check the consistency of file system and security tweaks on the server. Managed hosting certainly is a good deal as it saves your time and server administrator fees as this is included in services offered by web hosting provider. So if you find a hosting plan relatively costlier than other providers, it is because of the managed hosting service available with the hosting package as you get the benefit of technical support.